This Grimsby trawler, GY 180, had run onto the North Tail of Stroma in fog, while homeward bound from Iceland with a good catch of fish. One of her crew was washed overboard and drowned when she struck and despite a very brave attempt by the ships mate, who went over the side with a rope round his waist but could not save the man. The Thurso lifeboat, H.C.J., was launched to go to her assistance at 6.10am, as was the Lifeboat from Longhope. Stroma life saving brigade fired a rocket across and set up their hawser, hauling out the breeches buoy to the ship in case it was needed. There were still fifteen men on board and at Captain Goodmund's request, the lifeboat stood-by for some time, later taking two lines out to another trawler. An attempt was made to pull the Marz clear on the high tide, but this failed and as the water dropped, it was seen that the trawler's hull had been badly damaged. The H.C.J. went alongside and rescued fourteen of the crew, the Master deciding to remain on Stroma. The lifeboat returned to her station at 4.00pm. 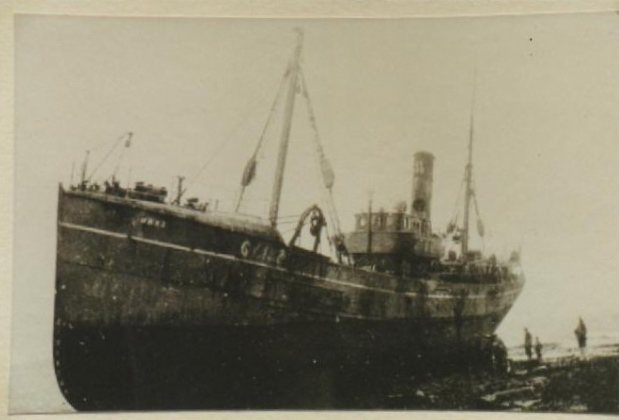 At one stage a Grimsby trawler Franc Tireur was in attendance while much of the Marz's fishing gear was taken away by a sister ship Alsey. The Leith salvage Co's. tug Bullger tried in vain to refloat the Marz but she was finally swept over the reef into deep water. Part of her weed covered side remaining visible for some time afterwards. Possible position 58 41 75N, 03 07 33W. 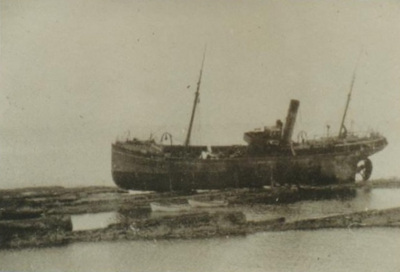 The Marz was built in 1929 and the 380 ton vessel was owned by the Rinovia Steam Fishing Co.Ltd. (Grimsby).